A healthy glow starts from within! Get that healthy glow and strengthen your immunity! Glutasome unleashes the incredible power of L – Glutathione (GSH) to strengthen your body’s defenses against every day stress, environmental toxins and illness. Glutasome naturally promotes healthy skin, helps diminish signs of aging, supports mental clarity and focus and provides a boost of energy. Just mix a sachet packet of Glutasome with 8-10 ounces of water to make a naturally delicious lemon-raspberry drink. For an extra boost, take two each day. Glutasome unleashes the incredible power of L – Glutathione (GSH), which is produced by our bodies to protect our cells against every day stress, environmental toxins and illness. 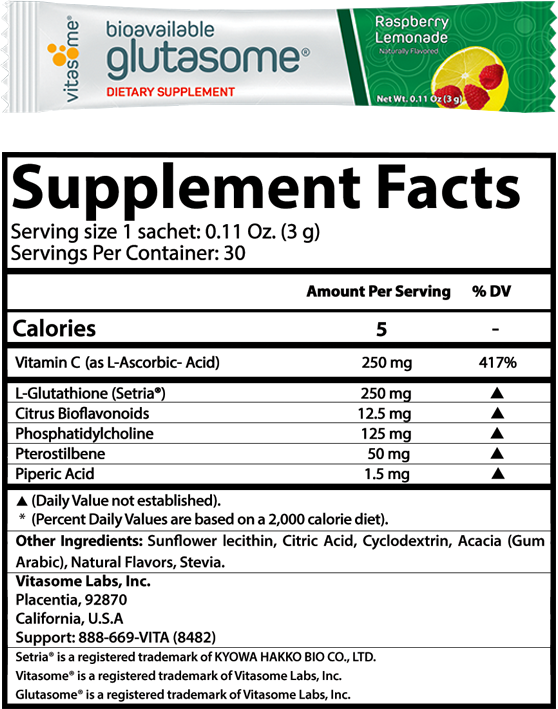 Glutasome helps to replenish the GSH needed to strengthen immunity and combat oxidative stress at the cellular level. A daily boost of GSH also promotes a glowing complexion, mental clarity and focus, and the vitality that comes with healthy aging. 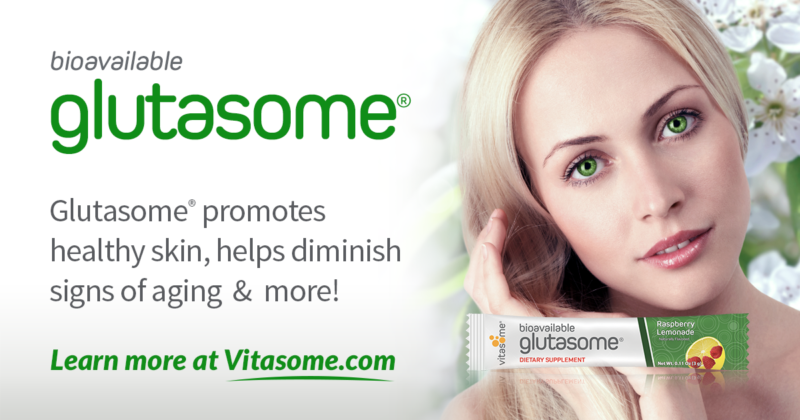 Glutasome is made using Setria®, the world’s purest and most bioavailable form of glutathione that is clinically proven to increase GSH levels in the body. The Kyowa quality logo guarantees ingredients that meet the highest GMP standards. On average, only 10% of the nutrients in most vitamins retain their potency after digestion, which means up to 90% is literally flushed away. 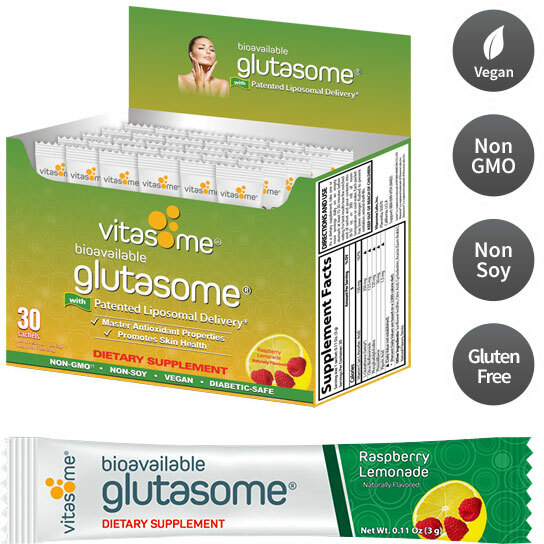 Unlike other vitamins, Glutasome’s unique construction delivers micronutrients directly to your body’s cells, at the molecular level, providing superior absorption and less waste of ingredients.